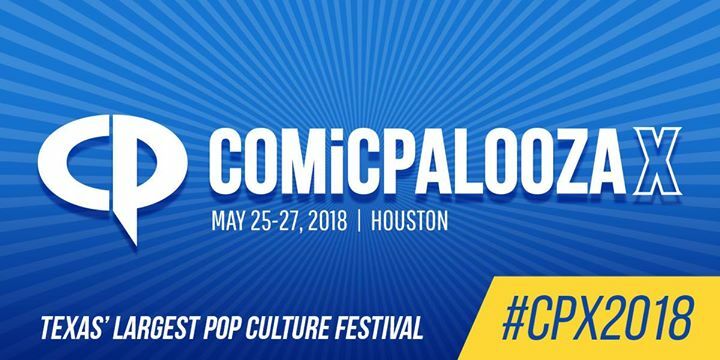 Comicpalooza is celebrating our tenth anniversary this Memorial Day weekend, May 25 - 27, 2018. For three days, attendees have access to sessions covering popular trends and obscure topics; a film festival, gaming competitions, a cosplay contest, live art auction, and much more. The exhibit hall is filled with specialty retailers for comics, popular artists, and exciting games. In addition, the Maker’s Space and features innovative technology from today and year’s past, while the kid’s area is both fun and educational. Celebrity guests from your favorite movies, television series, comics, or literature answer questions and share their stories, they engage audiences in Q&A sessions, sign autographs, and take photographs with fans.